In 1964, when LSD was fast becoming a national issue on a trajectory that eventually made it the most vilified drug of the decade, McLuhan’s treatise Understanding Media became (alongside The Tibetan Book of the Dead) the latest roadmap for Leary’s positioning on the subject that had increasingly preoccupied him since he and Richard Alpert had been forced out of Harvard, where they had been doing groundbreaking research on psilocybin, LSD and DMT during the early 1960s. McLuhan argued that all media are “extensions” of our human senses, bodies and minds, that “amplify and accelerate existing processes.” It was the medium itself, regardless of the content, that was the message. In McLuhan’s estimation, the “only sure disaster would be a society not perceiving a technology’s effects on their world, especially the chasms and tensions between generations.” During the culture wars of the ‘60s, this became known as the “Generation Gap” and led to a suppression of youth protest culture by the ruling class. The new medium of television broadcast it to every living room, from civil right protestors being attacked by sheriffs’ dogs to hippies being busted for smoking pot to anti-war demonstrators being beaten by cops to the rows of body bags in the jungles of Vietnam. It was around this time that Leary and McLuhan met, a pivotal meeting Leary wrote about in his autobiography Flashbacks. 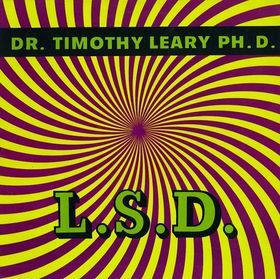 They had lunch at the Plaza Hotel in Manhattan in the spring of 1966, following Tim’s appearance at the U.S. Senate Hearings on the psychedelic drug “crisis,” and shortly before he gave a talk on “The Molecular Revolution” at the first non-academic LSD conference in San Francisco. Leary commented that there was no need to turn on McLuhan to LSD since the professor got high on the yoga of his art form: talk. “He talks in circles, and spirals, and flower forms and mandala forms,” Leary said.